Not everything in the world of architecture is about designing buildings and installations to last a lifetime, some elements are intentionally created to be ephemeral. 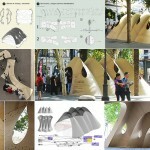 And that is precisely the aspect celebrated by the EMPORIA awards: innovation in temporary architecture. Xevi Bayona was this year’s winner with his ‘Crater’ installation, made using 2,500 m2 of plastic and backlit by over 40 spotlights. 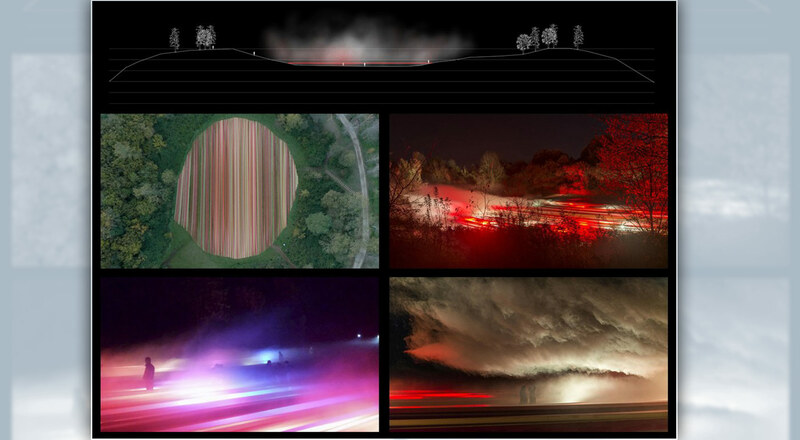 Positioned on top of the Montsacopa volcano in Olot, the installation sought to reproduce the incandescent chromaticism of lava. Bayona’s use of light, music and smoke effects saw him make off with the Gold Emporia for architectural innovation. Emporia’s Silver award went to Andrés Martín-Pastor’s SSFS Pavilion. An 8×8-m2 self-supporting pavilion, i.e. it supports the weight of its own structure, composed of a single 5 mm-thick layer of wood. The pieces were cut and cold-moulded to achieve the final form. 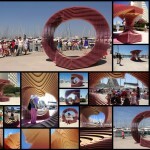 The third ‘Seleccíon Emporia’ prize was awarded to PortHole, an experimental anamorphic pavilion that plays with perspective, designed by the Team of Manufacturers Architects (TOMA!). Designed for the tenth FAV Living Architecture Festival, the pavilion transforms into a virtual bull’s eye when the work is viewed from a specific vantage point. The jury was made up of a variety of figures from the sector, including industry experts and representatives from universities, technical press and professional associations. The awards were organised by the Catalan Association of Interior Designers and Decorators (CODIC) and Veredictas International, with the support of the Architects’ Association of Catalonia (COAC) and AJAC, the Technical University of Madrid, ETSAB in Barcelona and the principal exhibition industry associations.